Reasons to visit: coffee latte, smoothies and kitschy interior. Hurma cafe shop is a recently opened hipster style coffee house serving not only great coffee lattes, but also smoothies, delicious brunch and all day breakfast for a very affordable prices. Located close to the Tbilisi Philharmony on Petre Melikishvili street 21 on the opposite side to the Tbilisi Hard Rock Cafe. This place is run by Russian/Ukrainian girls (at least that's what I understood). Despite being opened just recently, I noticed mostly foreign visitors here. Yeah, who I'm to complain, right? That said, welcome to another great Tbilisi restaurant - Hurma cafe shop! One of the rare places in Tbilisi offering Breakfast all day. Although I should mention that in recent years there have been a lot of improvement with brunch offer in Tbilisi. 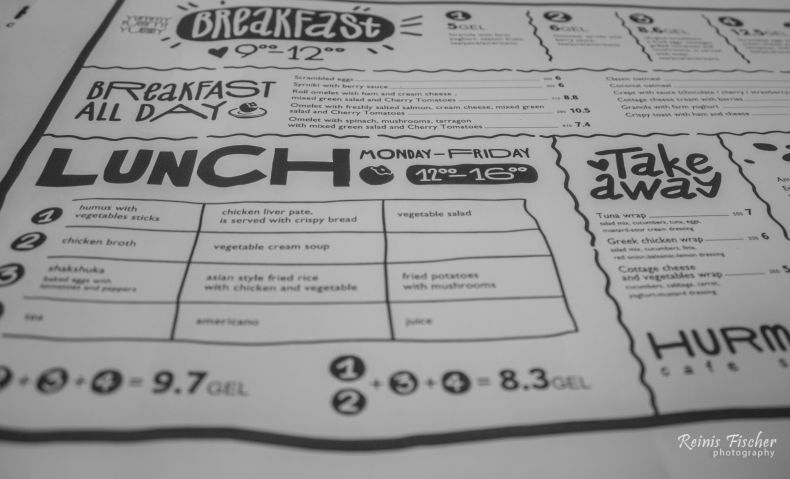 Prices for a brunch menu here are really low compared to other brunch places in Tbilisi. The prices will probably grow in the future, but for right now - enjoy! 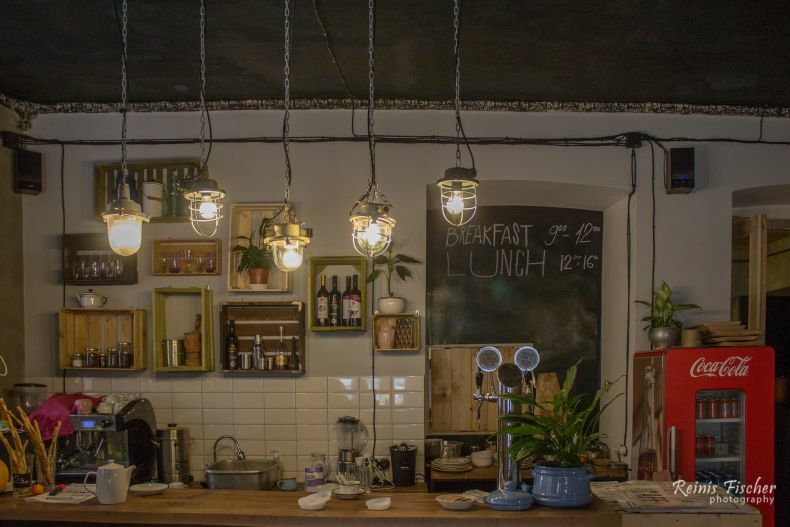 Looking for a rustic, industrial, kitschy place in Tbilisi? Come to Hurma Cafe shop. Ukrainian/Russian entrepreneurs have thought about all possible details. Indeed, it's a kitschy place! Lovely place, affordable prices, great smoothies and friendly staff. Our total bill here about GEL 40 for 2 persons.